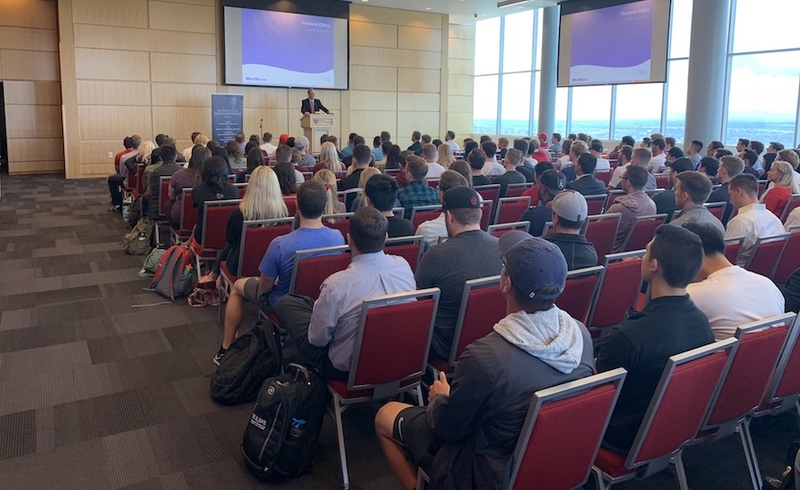 Rex Plaizier, President and CEO of WesTech Engineering, Inc. spoke to more than 200 students at the David Eccles School of Business. He addressed the topic “Ethical Behavior Within Your Company” on Oct. 3. He stressed that having and using ethics, particularly personal ethics, to guide your path is the most important aspect of a successful person. Rex Plaizier is President & CEO of WesTech Engineering, Inc., headquartered in Salt Lake City, with operations across the globe. WesTech is an internationally recognized company for the design and manufacture of process equipment for minerals, petrochemical, potable water, wastewater, and other related industries. 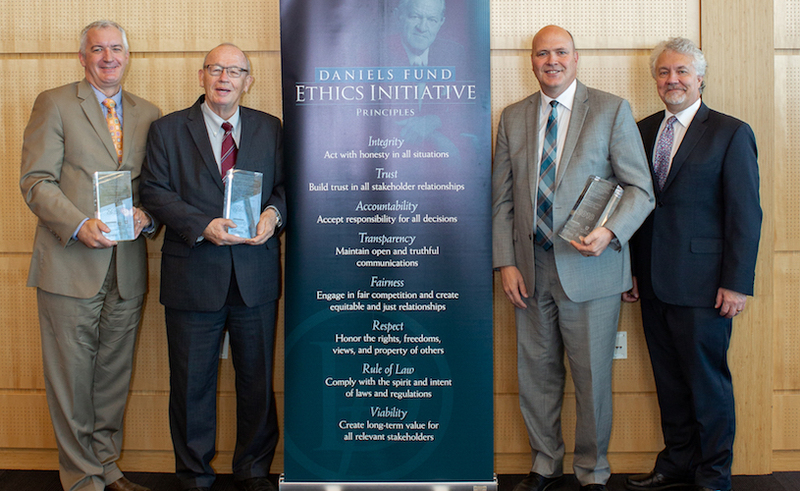 Under the leadership of Plaizier, WesTech received the 2014 Utah Ethical Leadership Award for Business. 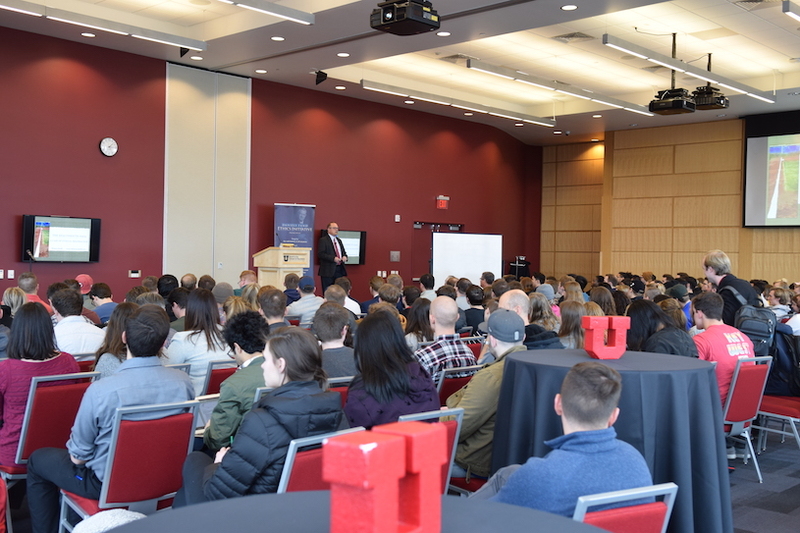 This honor is extended to companies that demonstrate “integrity, trust, accountability, transparency, fairness, respect, rule of law, and viability.” Plaizier earned his bachelor’s and master’s degrees in mining engineering and an MBA at the University of Utah (BS 1983, Mining Engineering, MBA 1991, MS Mining Engineering 1991). 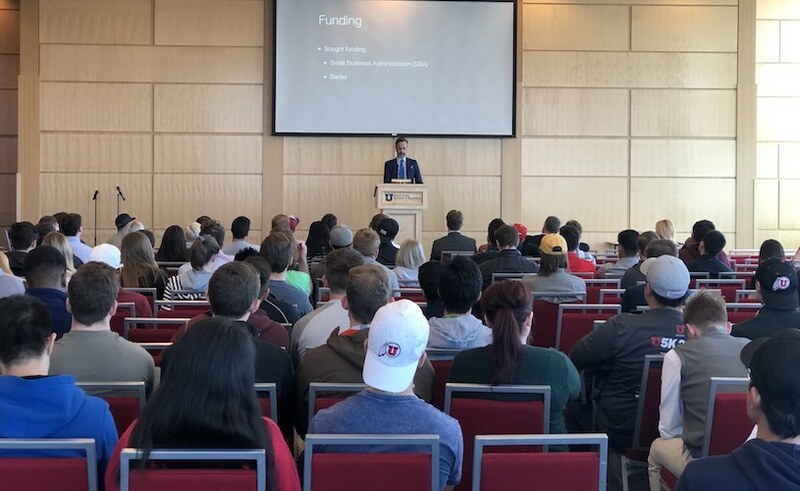 While a graduate student, he was selected as a Fulbright Scholar, and studied mining engineering at the University of Aachen in Germany for 13 months. He is fluent in English, Portuguese, and German, and strives to learn something new each day.